If you ever need to do TRL calibration, you will find AtaiTec's patent-pending in situ de-embedding (ISD) technique most useful. Compared to more than 7 test coupons on a TRL calibration board, ISD needs only one through trace. 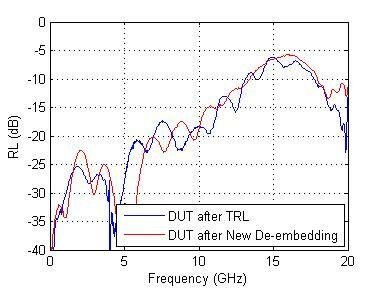 TRL requires that the calibration board and DUT test fixture have identical characteristic impedance, which is an impossible feat to achieve. 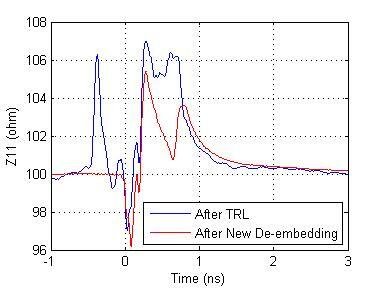 In addition, TRL does not remove coupling among lead-in traces. The result is that the S parameters of DUT after TRL calibration are almost always non-causal, and are difficult to correlate with simulation. ISD addresses all these issues with a very simple procedure: (a) measure the through trace test coupon (which only needs to have similar, but not identical, behavior as the DUT test fixture), (b) measure DUT + test fixture, (c) run ISD software. 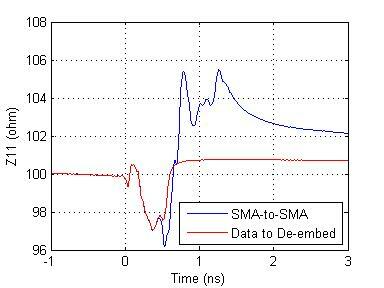 The SMA and lead-in traces are de-embedded with the same exact differential impedance from DUT + test fixture in 4-port VNA measurement, as shown below in time-domain differential impedance profile. 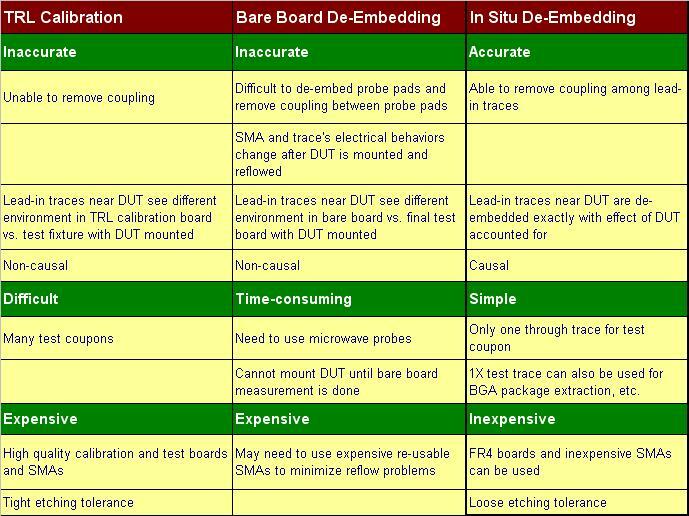 How ISD can be more accurate, simpler to operate, and less expensive than TRL and bare board de-embedding.